These are the two types of insulin I take every day. I take one every time I eat + the other each night. I’m thankful diabetes is a disease I can live with. I was so scared when I was diagnosed, mostly because I didn’t know anything about it. 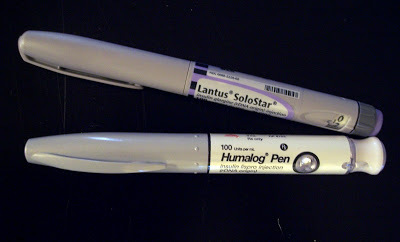 Without insulin, I wouldn’t feel like myself. I also am thankful that insulin comes in these nifty disposable pens so I don’t have to mess with syringes + vials anymore.